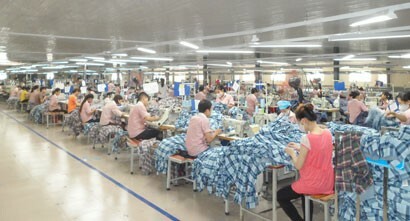 The Government of Vietnam recently issued Resolution 02/NQ-CP on the continued carrying out of key tasks and solutions for better business environment and stronger national competitiveness in 2019, with a vision to 2021, with the aim of getting Vietnam's business environment into ASEAN 4, the group of four most developed countries in ASEAN. Accordingly, the overall objective of the Resolution is to raise Vietnam’s standing on international rankings of the World Bank (WB) by 15-20 places from 2019 to 2021 (climbing by 5 - 7 places in 2019 alone); by 5 - 10 places on international competitiveness ranking of the World Economic Forum (WEF) from 2019 to 2021 (rising by 2 - 3 places in 2019); by 5 - 7 places on the national innovation index rankings by Wipo from 2019 to 2021 (by 2 - 3 grades in 2019); by 5 - 10 places on the logistics ranking index of the WB from 2019 to 2021; and by 10 - 15 places on e-Government ranking by 2020. 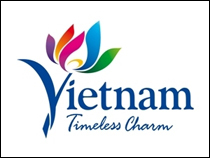 At the same time, Vietnam will strongly improve the business environment, rapidly increase new business startups, reduce corporate bankruptcy and cut input costs, opportunity costs and unofficial costs for businesses and people. On specific tasks, the Government sets the target that indicators of starting a business, getting construction permits, accessing credit and protecting investors will rise by 3 - 30 places from 2019 to 2021. 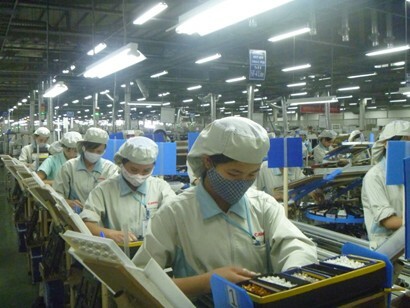 In the past years, carrying out the Government's annual version of Resolution 19 on better business environment and higher national competitiveness, in 2018, Vietnam's business environment climbed 13 places over 2016. More than 50% of businesses believed that the business environment is more open and favorable. Nevertheless, Vietnam’s competitiveness rankings are globally median, ranked 69th out of 190 countries on business environment and 77th out of 140 on competitiveness. In ASEAN, Vietnam has not yet entered the Top 4 as it is ranked 5th in business environment and 7th in competitiveness. Besides, some indexes are getting better quickly but many are still lagging. Some are even downgraded regionally and internationally. Notably, technology and innovation indices related to the Fourth Industrial Revolution are slowly updated, monitored and improved. In the context of Industry 4.0 and rising international competition, countries and economies are striving to improve the business climate and focus on technological innovation and capacity to adapt to new production platforms. For that reason, the goal of increasing global rankings and entering ASEAN 4 requires Vietnam to make more efforts than ever. In 2018, we achieved a milestone of having more than 1,000 members. This evidenced that the Government's reform efforts continue to make Vietnam an attractive business and investment environment for European companies. As soon as the EU - Vietnam Free Trade Agreement (EVFTA) is ratified and enforced, the next challenge is to ensure practical application. In addition to market entry, we expect the Government to consider issues concerning the pharmaceutical industry. 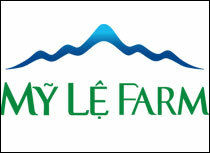 There are two opportunities to promote foreign investment and develop a better health system for Vietnamese patients. We welcome the progress made by the Government in providing a clear and feasible legal framework to do this. This will allow the public and private sectors to work closely together in the long term for the sake of patients and the community. 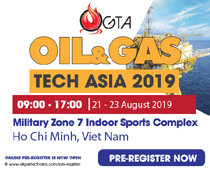 In order to ensure that the legal framework is implemented as efficiently as possible, Vietnam needs a feasible transition period which is predictable, to make sure that companies can continue to operate at high standards and bring best treatment solutions. In addition to high healthcare standards, European companies promote international business ethical standards. Furthermore, there are two important issues that can help Vietnam become a more attractive business and investment environment. Online piracy should be handled more rigorously by revising the Law on Intellectual Property, increasing administrative fines and strengthening the enforcement environment. Meanwhile, the Government should further assess impacts of the Cybersecurity Law on foreign direct investment and the economy. The government may consider adopting a data classification system where only national security data is stored in Vietnam to help the country maintain a competitive advantage in the region. 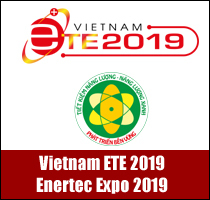 Addressing the above issues will help support Vietnam to increase motivations for ratifying the EVFTA, sending a strong and positive signal to the European Parliament that Vietnam is open to business, and is turning itself into a more attractive trade and investment destination for European businesses. Ineffective binding administrative procedures must be controlled, and the national legal and tax framework must be stable and predictable. Foreign investors need a level playing field to not only attract more investment in the future, but also keep the existing investment capital in the country. Frequent and retroactive changes in laws and regulations, including tax rates and policies, are significant risks for foreign investors in Vietnam. These changes affect investment and business plans of licensed projects. AmCham recommends that the Government consider investment protection guidance to prevent negative and retroactive binding effects of new laws and regulations on current projects. Vietnamese and foreign businesses need an equal and supportive environment for development, which means that their relationship with administrative agencies needs to be compatible and transparent. In addition, facilitating trade and flows of Vietnamese goods has improved customs procedures and work performance. However, post-import audits conducted regularly, but mostly unnecessarily, are burdening companies. A company must undergo more than ten audits in just a two-month period although there is almost no reason for customs authorities to determine that this company is a high-risk importer. We encourage customs authorities to adopt a more focused approach to make sure that importers subject to inspection are risky instead of legitimate traders. This includes clearer definitions in the process of conducting customs clearance, customs inspection, pricing and auditing between AEO-standard importers and regular importers. In addition, our companies are faced with periodic tax audits with lengthy procedures. We encourage the Government to use OECD procedures for regulations on transfer pricing and carry out the Advance Pricing Agreement (APA), which has been long expected. Tax penalties are still a concern for businesses. The foreign business community fears inappropriate increasing of taxes and customs to offset the budget deficit. We totally do not accept tax evasion in any form, but we understand that errors may occur as a result of administrative errors. In Vietnam, these errors often arise from inadequacies and inconsistencies in how to interpret tax and customs laws and regulations, even among departments within a city and province. Lacking tax and customs officers leads to late tax inspections, possibly up to five years after the reporting period. In the event that errors and omissions are caused by administrative processes of authorities, administrative penalties are however applied to businesses for late payment errors are considered unfair and unreasonable. Many companies are subject to this penalty because tax authorities cannot conduct annual inspections in a timely manner. A late payment penalty is charged at an interest rate of approximately 20% a year. After a five-year period, it will double the original value. Multinational corporations indicate this injustice when they are required to pay these fees for the causes entirely out of their control even though they submitted documents in full and on time. To resolve these issues, BBGV proposes establishing an independent agency to listen to taxpayers’ appeals about their tax penalties and administrative penalties. These losses will seriously affect the attraction of foreign direct investment in the future if no solution is found. For Vietnam, its investment attraction and trade depend on many factors, including transparency in business operations and tax regimes. 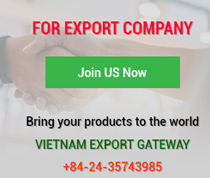 This issue is a concern for businesses operating in Vietnam and will continue to be an important factor for companies to consider and assess advantages and disadvantages when they make a decision on whether they should start operations in Vietnam or not. Vietnam and South Korea have made remarkable progress for the past 26 years since the two sides established diplomatic relations. Now that the era of the Industrial Revolution 4.0 has arrived with the continuous emergence of new industries, it is time for the two countries to prepare for “Korea - Vietnam Cooperation 2.0” to match the new framework of the Industrial Revolution 4.0. The Industry 4.0 stems from technologies and initiatives. Technologies and initiatives are created by human beings. Therefore, human resource development is the key to this issue. Although Vietnam is growing rapidly, it is still difficult for it to enter Industry 4.0, as it has specifically focused on labor-intensive industries. Therefore, it is important that the Government has policies to foster necessary technical and professional human resources for high-tech industries although this takes time and money. Technology transfer is also important but “advanced technology” should be invested boldly when needed. If it is still merely attracting foreign companies to deal with this issue, this method has a lot of limitations. Companies must be able to recruit technical or professional personnel according to necessary industry-specific standards for practical business situations. To do so, nationally recognized certificates must be decentralized by industry and by rank. In the past few years, the Vietnamese government has taken some measures to tighten loans because the ratio of public debt to GDP has now reached the 65% limit set by the Government. However, infrastructure development is an important requirement for Vietnam's long-term economic growth, in which the flexible application of public-private partnership (PPP) mechanisms is undoubtedly one of the most effective ways to accomplish this objective. The government has some PPP incentives that we highly appreciate. For example, the introduction of Decree 63 in May 2018 helped simplify PPP investment procedures, such as abandoning the regulation on application for Investment Registration Certificate for projects. 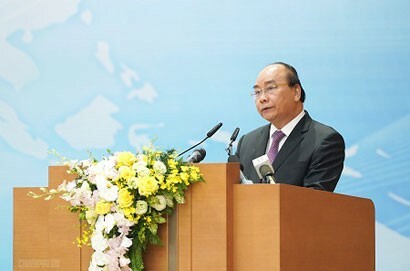 However, four following contents about this Decree need the consideration of the Government to improve the effect of encouraging infrastructure development investment in Vietnam: Clearly specifying “foreign laws” are allowed to be used as applicable laws; allowing settlement of disputes by foreign arbitration for all infrastructure investment projects, including real estate-related projects; allowing investors and project implementers to mortgage land-use rights, assets on land and the right to run projects; and regulating that the Vietnamese government needs to share part of risks associated with stopping foreign payment and exchange certification. Hopefully the Vietnamese government will seriously consider our recommendations, which will help Vietnam become more attractive to investors, not only for Japanese but also for those from other countries around the world. Global megatrends, featured by the 90-day truce of United States - China trade war since December 1, strongly affected moving flows of capital markets, production markets and consumer markets. This will directly affect FDI inflows directed towards Southeast Asia, especially to Vietnam - the major outsourcing market for multinational corporations. This will strongly affect the scale and scope of investment attraction into industrial parks in Vietnam, where the Government expects to attract high-value FDI inflows. The trade war may prolong, destabilize global macro policies and cause far-reaching influences as the U.S. will not want China to become the No. 1 economic power and have global influence. Professional infrastructure investors with available land funds for industrial park infrastructure development will attract foreign investors all over the world as they can meet their various requirements for investment spaces. The high competition among infrastructure developers in geographical location and convenient access to industrial parks will raise the regional competitiveness index in the assessment report made by investors. It is generally impractical to attract influential manufacturers like Samsung, LG, Apple, Hyundai, Kia and Mercedes into industrial parks because of their very strict requirements. The world economy is forecast to be more volatile this year but the picture of industrial property is not just blurred. TNI always moves forward with high confidence in a brighter outlook. We always have many traditional customers who have invested in TNI-operated industrial parks. These reliable and sustainable partners accompany and attract new investors with TNI at all times. Vietnam Investment Environment 2018 – 2019, the so-called demographic dividend in Vietnam, is believed to have ended in 2017/2018 and the economy now starts to step into a new macroeconomic phase. In the coming years, Vietnamese people will find quality of life aspects such as hobbies and entertainment more important than material goods. One of the signs of this transition in demand was clearly shown in the enthusiasm of Vietnamese people for the Football Asian Cup and Southeast Asian Cup. I could feel the strong demand for “fun”. In addition, Vietnamese people are widely known for being creative and now is the start of the era to make proper use of it. The first investment boom for cheap labor is coming to an end and the new investment wave into creative industries is coming very soon. In 10 to 20 years in the future, when we look back at the economy then, we will see 2018-2019 as the turning point for Vietnamese economy. The shift from labor-intensive industries to knowledge intensive industries will impact not only the domestic economy, but also the export business from Vietnam. I am currently investing in the creative industry in Vietnam and I could say the creativeness and strong enthusiasm of Vietnamese are very attractive to me and I strongly believe now is the time we should invest in businesses to connect Vietnamese creators to the world.